This weekend was relatively calm. Dinner party with close friends Friday night. Time with family on Saturday. Down time on Sunday. I struggle with just doing nothing so this quote helped me tonight. I have decided to kick back, enjoy a glass of wine and have a little calm life on this lovely Sunday evening. 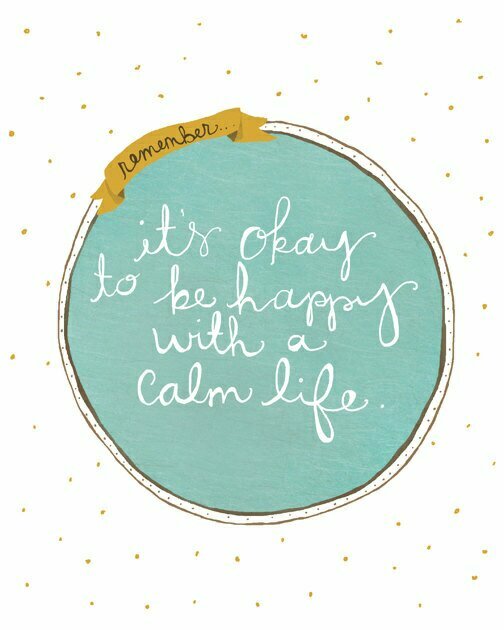 I hope you had a great weekend and here’s to a calm, productive week ahead! And don’t forget I am giving away one of my new favorites books. Click here for the details and to enter by tomorrow!